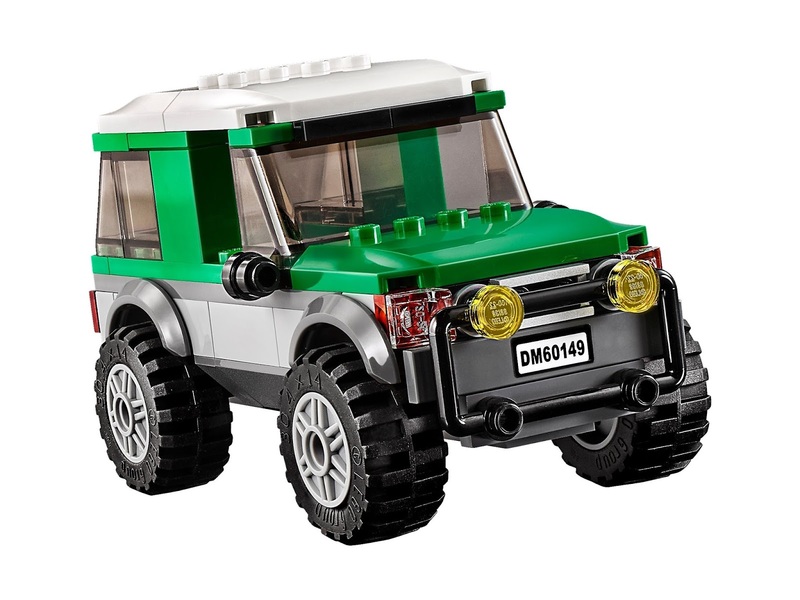 come with a 4x4 truck, a detachable trailer and a catamaran boat. 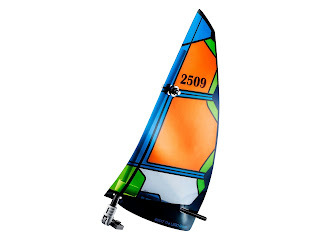 the boat has a foldable sail and dual rudders. 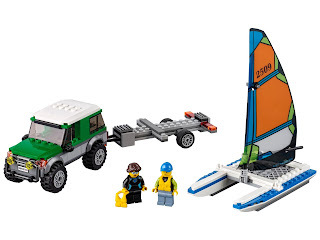 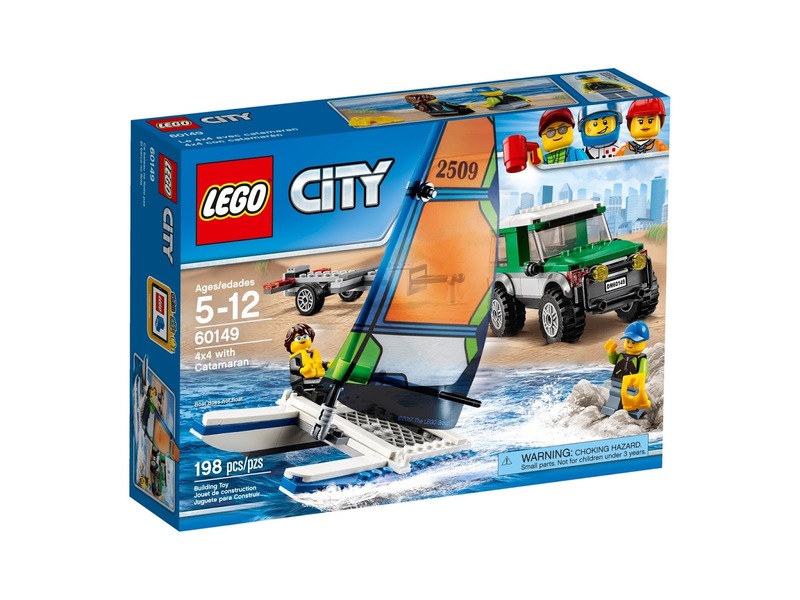 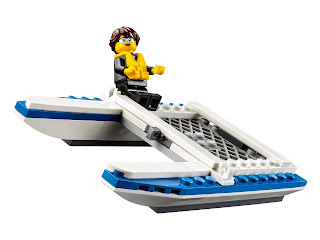 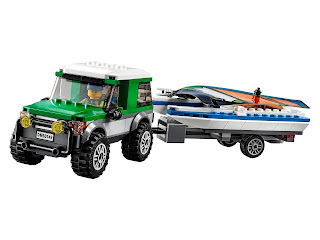 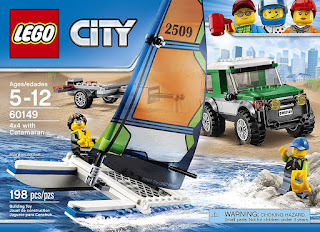 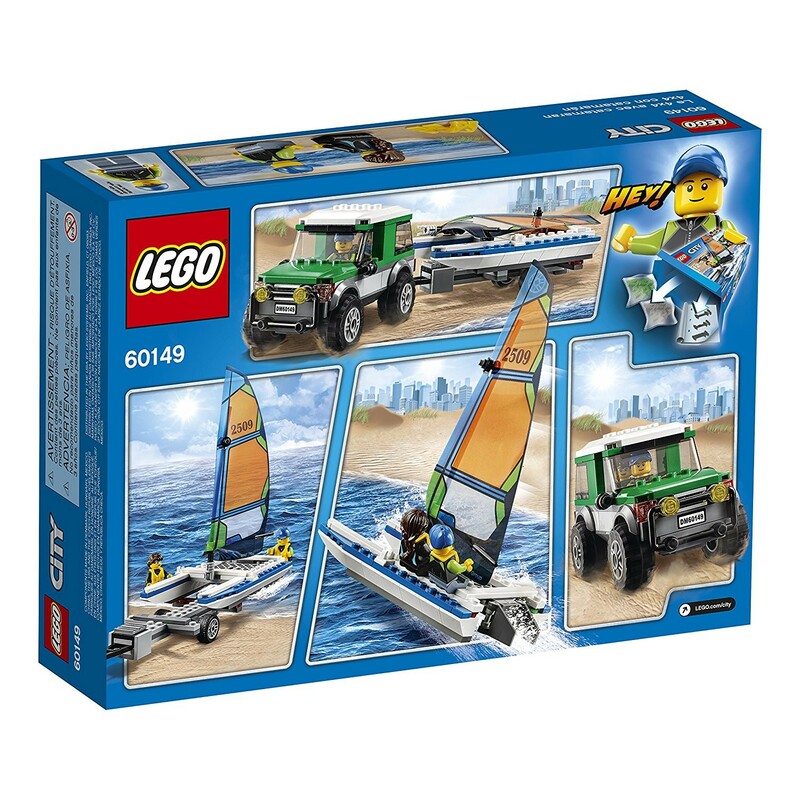 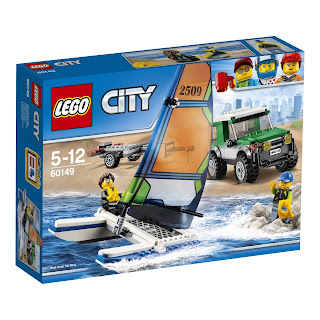 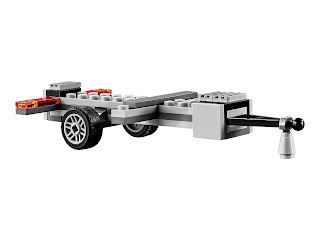 minifigs included a catamaran pilot minifig and a driver minifig.